Michael R. Bloomberg, Villanova University’s 2017 Commencement speaker, is a true polymath and unsurpassed doer who has excelled in business and public service arenas. His personal website offers an excellent biographical time line with news items about current initiatives. For a current interview with Mike Bloomberg watch a recent 60 Minutes interview. For a fascinating autobiographical account of how he built Bloomberg, L.P., and the Bloomberg Terminal which is a groundbreaking financial information, analytics and trading platform read Bloomberg by Bloomberg. To date, at least three books have been written about Mike Bloomberg’s three term tenure as mayor of New York City. Mike Bloomberg: Money, Power, Politics, written by journalist Joyce Purnick, is a straightforward, balanced chronological biography. For an anthropological case study of class politics within the context of the Bloomberg administrations west side development plans, read Bloomberg’s New York: Class and Governance in the Luxury City by Jillian Brash. For a deep dive into the tensions inherent in urban planning and building initiatives that played out during the Bloomberg years, read Scott Larson’s Building Like Moses with Jacobs in Mind. Mike Bloomberg’s most recent book, Climate of Hope: How Cities, Businesses and Citizens Can Save the Planet, coauthored with Carl Pope, former Sierra Club leader, couldn’t be better timed as scientific agreement on the impact of climate change converges, whereas political approaches diverge. Bloomberg argues that economic imperatives will lead to small scale and local efforts offering the best chances for successfully mitigating climate change without adversely impacting employment, industry and trade. Mike Bloomberg has been a prolific author of book forwards and contributor to articles about key social issues including education, public health, the arts, environment and better government. (See below.) 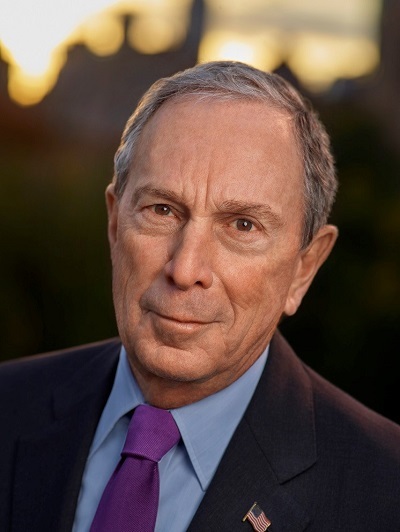 The Bloomberg Philanthropies page is where you can learn about his latest initiatives. Bloomberg, M.R. (2015). City Century: Why Municipalities Are the Key to Fighting Climate Change. Foreign Affairs 94 (5), pp. 116-124. Broad, E. (2012). The Art of Being Unreasonable: Lessons in Unconventional Thinking. Hoboken: John Wiley & Sons. Forward by Michael Bloomberg. Diaz, M. (2013). Miami Transformed: Rebuilding America One Neighborhood, One City at a Time. Philadelphia: University of Pennsylvania Press. Forward by Michael Bloomberg. Goldsmith, S., & Crawford, W. (2014). The Responsive City: Engaging Communities Through Data Smart Governance. San Francisco: Jossey. Forward by Michael Bloomberg. Webster, D. W. (2013). Reducing Gun Violence in America: Informing Policy with Evidence and Analysis. Baltimore: Johns Hopkins University Press. Forward by Michael Bloomberg. Webster, D.W., & Vernick, J.S. (2016). No Day Shall Erase You: The Story of 9/11 as Told at the National September 11 Memorial Museum. New York: 9/11 Memorial. Forward by Michael Bloomberg. 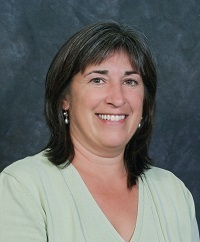 Linda Hauck is Falvey’s business librarian. Contact information: email-Linda.Hauck@villanova.edu; office-room 222, telephone 610-519-8744. Bloomberg photograph courtesy of Villanova University. Hauck photograph courtesy of Falvey Memorial Library.